Previous research has shown that posttraumatic stress symptoms are associated with poorer recovery from auto injuries. Trauma-focused cognitive-behavioral therapy (TFCBT) has shown some success in treating patients with chronic pain, but has not been studied within the context of whiplash injuries. 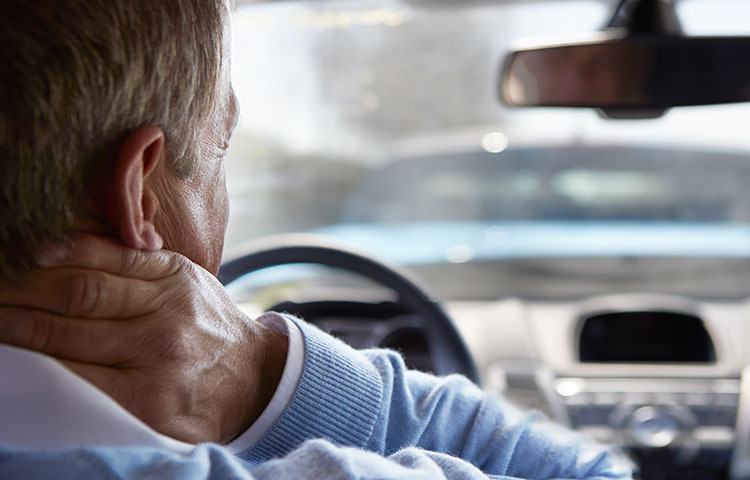 Recently, a team of researchers set out to determine whether TFCBT could be an effective strategy for treating patients with both whiplash and PTSD. The study involved 26 patients with both PTSD and chronic whiplash. The researchers found that treatment of PTSD symptoms with TFCBT was associated with significant improvements in neck disability and quality of life, although there was limited change in sensory pain thresholds, an important measurement of pain severity. The results of the study show that cognitive-behavioral therapy offers benefits for patients with both PTSD and chronic whiplash pain. This research represents an important step forward in the development of effective treatments for patients with both conditions. Louise R. A randomized controlled trial of cogntive-behavioral therapy for the treatment of PTSD in the context of chronic whiplash. Clinical Journal of Pain 2012 Nov-Dec;28(9):755-65. doi: 10.1097/AJP.0b013e318243e16b.